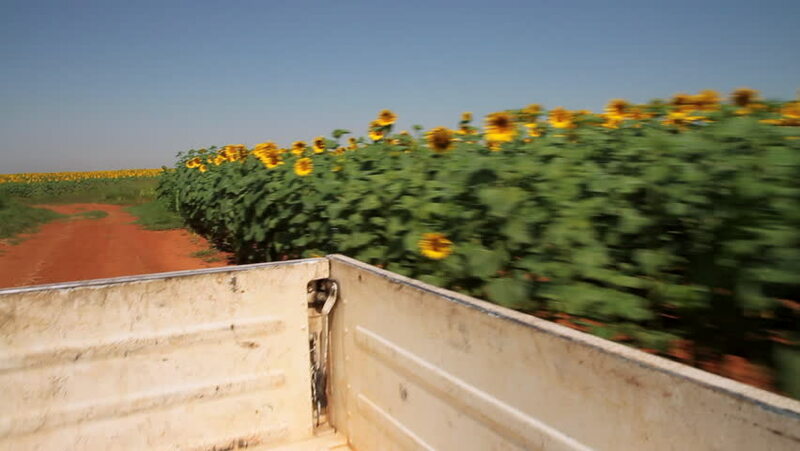 Passing fields of sunflowers from the back of a farm pickup truck. hd01:21Harvester combine pouring peas in the tractor trailer on sunny summer day. Working process of the production of green peas on cannery.